A phenomenon that’s not uncommon on my Winter morning walks, where there’s mist present, are the ‘fogbows’. Personally, I call them them whitebows, but apparently the term fogbow is more common. I’ve only seen one of these once and as luck would have it, I had my camera with me at the time. 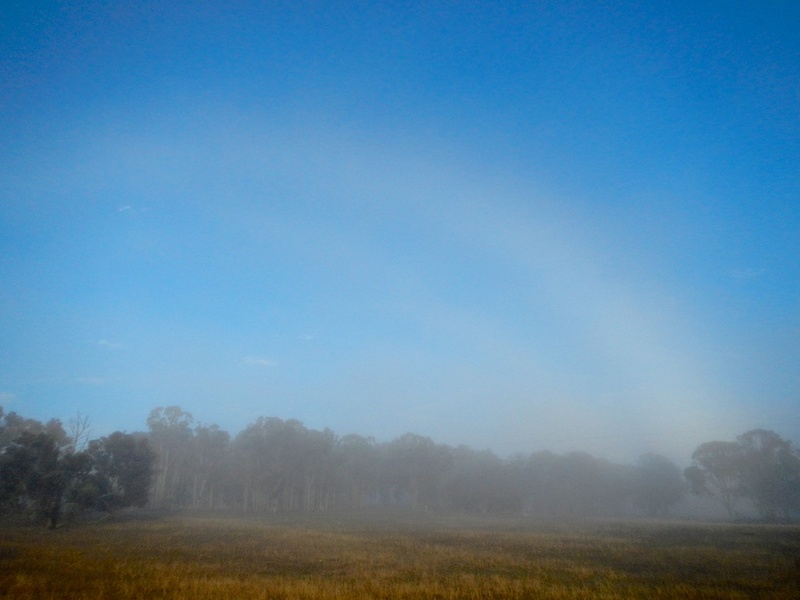 Have never heard of a fogbow and unlikely to see one given that I am not keen on walking in the cold.